Over 60.000 radio channels and over 2 million on-demand programs all included. Need more pop or boom? A crispier hi-hat sound or pounding bass? Equalization is the key getting the perfect sound from your system. With Radio EQu, shape your sound to match a particular style, your mood and your acoustic environment. It is really easy to use. 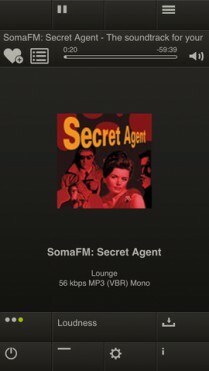 Just play your own music from your iPod or choose one of the 60.000 channels and adjust the sound the way you want. Or use the build in presets. Make your own presets for your car or living room. Your music will sound as you like it! And Radio EQu is more than that. Whereas conventional equalizers allow you to amplify or attenuate predefined bands, with Radio EQu you can design an extremely precise and smooth frequency response by directly manipulating more than 1000 discrete bands. EQu’s linear phase design also preserves all of your music’s fidelity and introduces no spatial distortion. 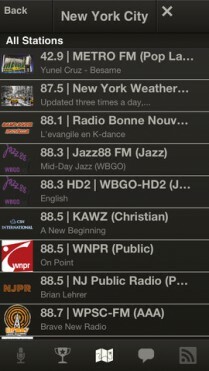 If you already own EQu you can have access to radio by the in-app purchase radio. This will be cheaper then buying Radio EQu. I have tried several audio EQ apps on my iPad and iPod Touch. This one beats them all! 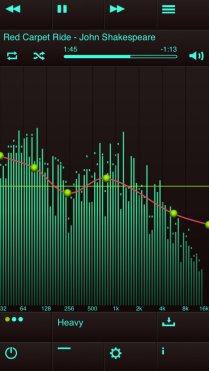 This has to be the best EQ app on the App Store. Works with your iTunes library and the built-in Tune-in Radio interface, which gives you access to 1000′s of radio stations around the world, including Internet only stations. Well worth the modest price. !